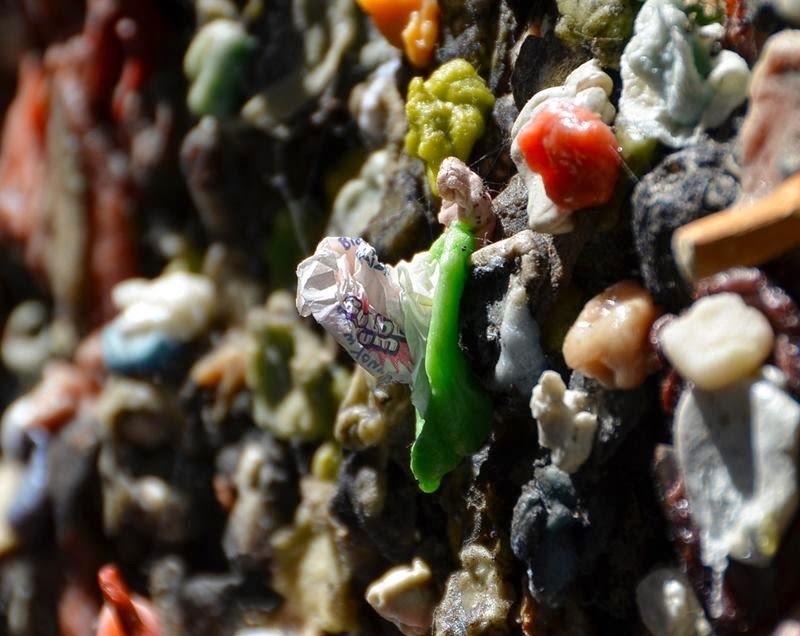 Bubblegum Alley - Bubblegum Alley is a local tourist landmark in downtown San Luis Obispo, California, known for its accumulation of used bubble gum on the walls of an alley. 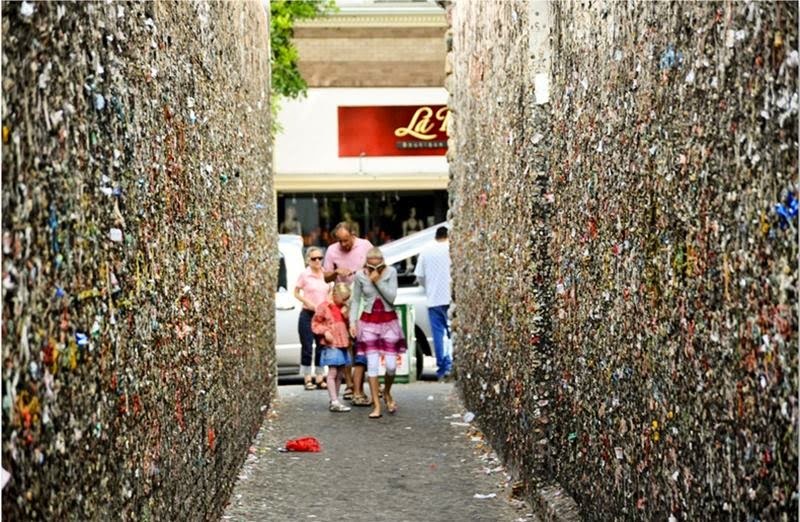 It is a 15-foot (4.6 m) high and 70-foot (21 m) long alley lined with chewed gum left by passers-by. 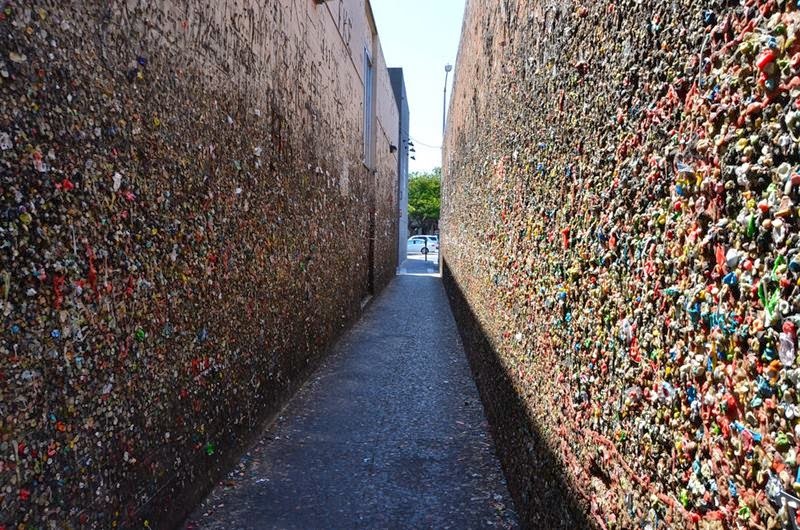 The locally created, "most-talked-about landmark" covers a stretch of 20 meters between 733 and 734 Higuera Street in downtown San Luis Obispo. 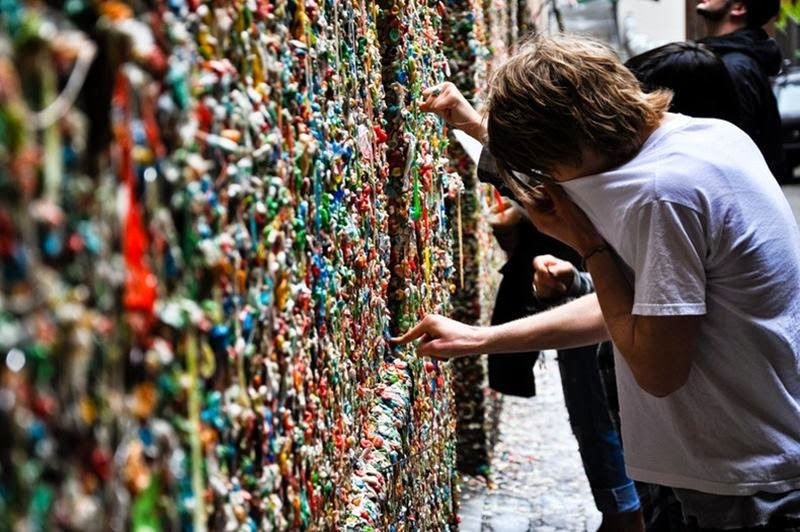 This chewing gum wall is similar to Seattle Gum Wall — According to the San Luis Obispo Chamber of Commerce and Downtown Business Improvement Association, the history of who actually started this gum fiesta is "a little sketchy". 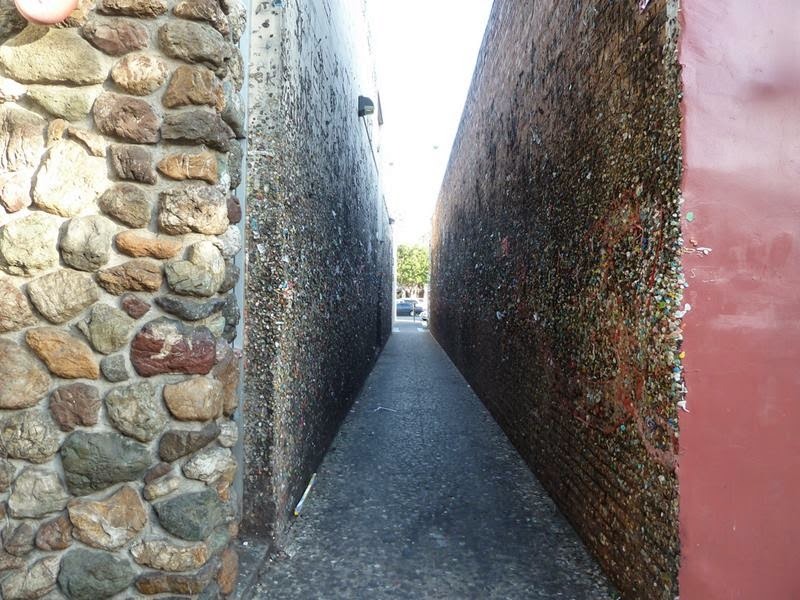 Some historians believe that the tradition of the Alley started after WWII as a San Luis Obispo High School graduating class event. Others believe it to have started in the late 1950s as rivalry between San Luis Obispo High School and California Polytechnic State University (POLY) students. 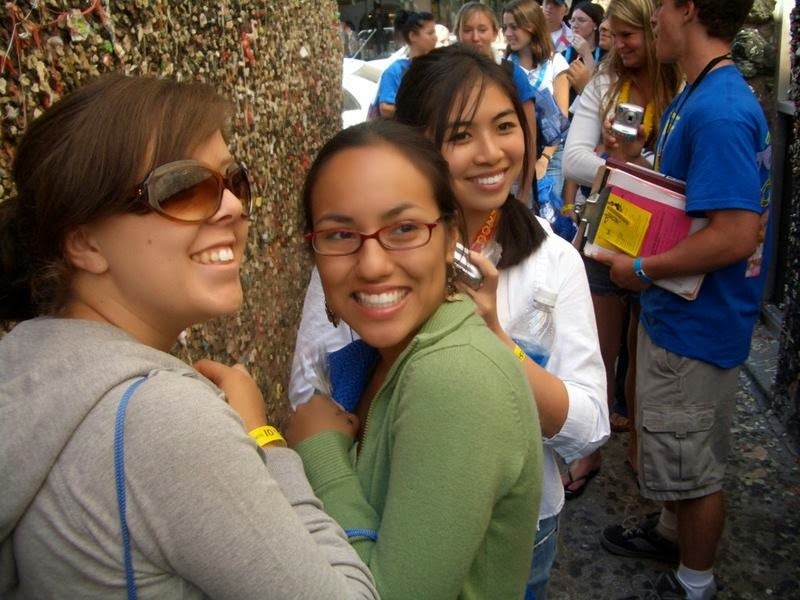 As soon as the Poly students suspected that the high school was trying to out-do them on the gum walls, the college students stepped up their game and immediately became more creative, thus launching Bubblegum Alley. 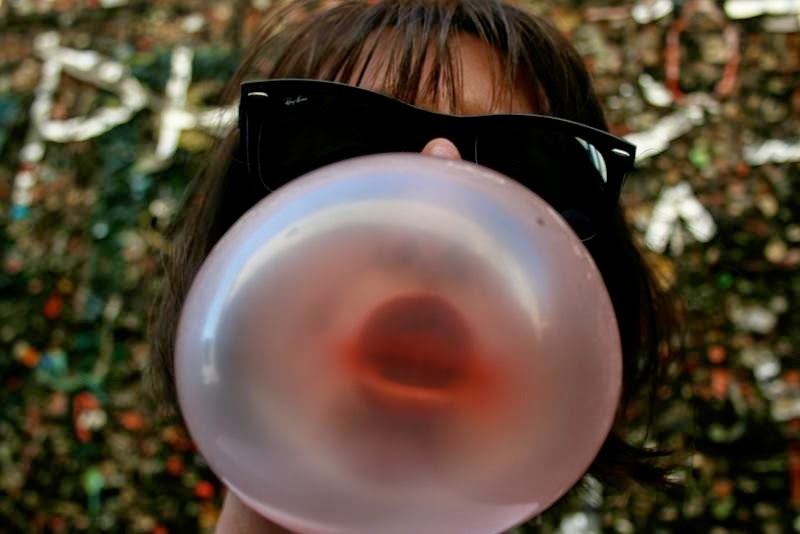 In any case, by the 1970s Bubblegum Alley was well under way. 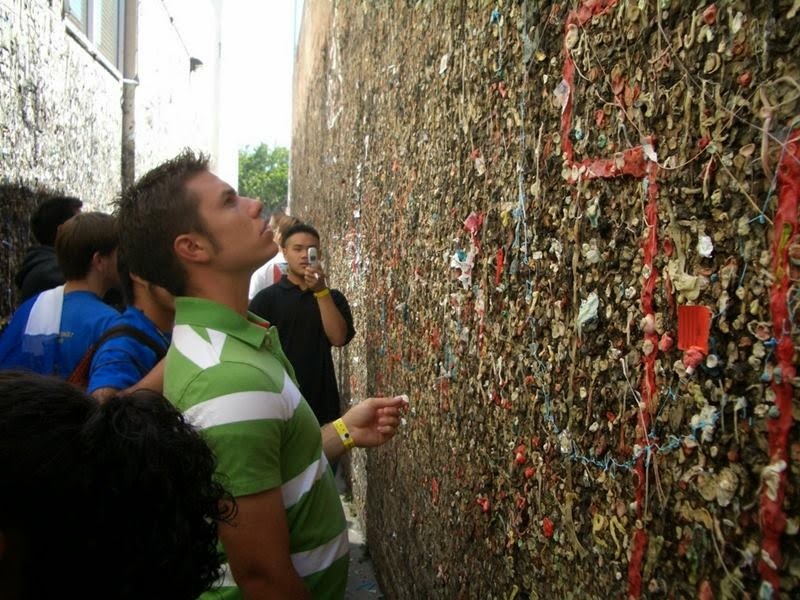 When shop owners complained that it was "unsanitary and disgusting", the alley underwent a full cleaning. 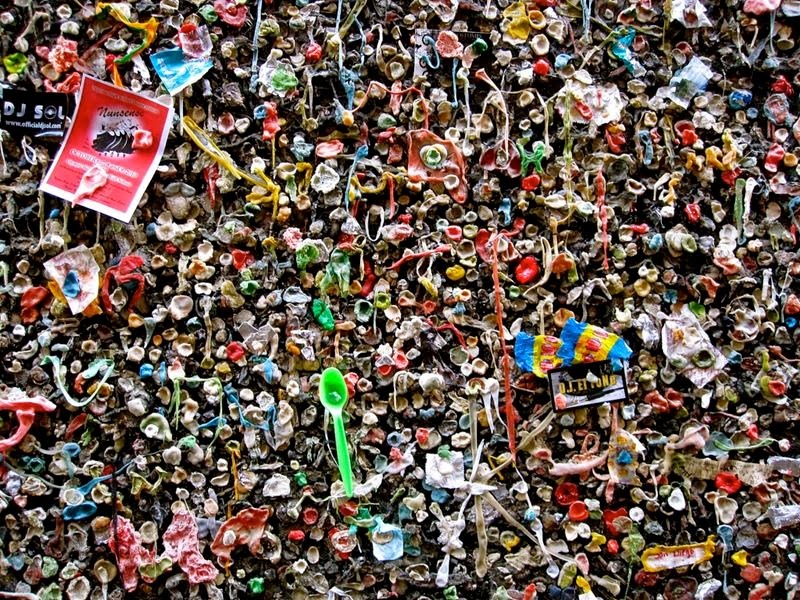 The gum graffiti survived two full cleanings in the '70s, but when, in 1996, the BIA attempted to have another full cleaning, it was not passed.